An international team of archaeologists face a unique challenge to build a replica of the Pharaoh Queen's famous ship, based only on an ancient scale drawing. Queen Hatshepsut was the first female pharaoh of Ancient Egypt. She was known as 'the queen who would be king', because she undertook more daring adventures and expeditions than any male pharaoh who'd come before her. Here in her tomb is one of the most eye-catching testaments to her expeditions. 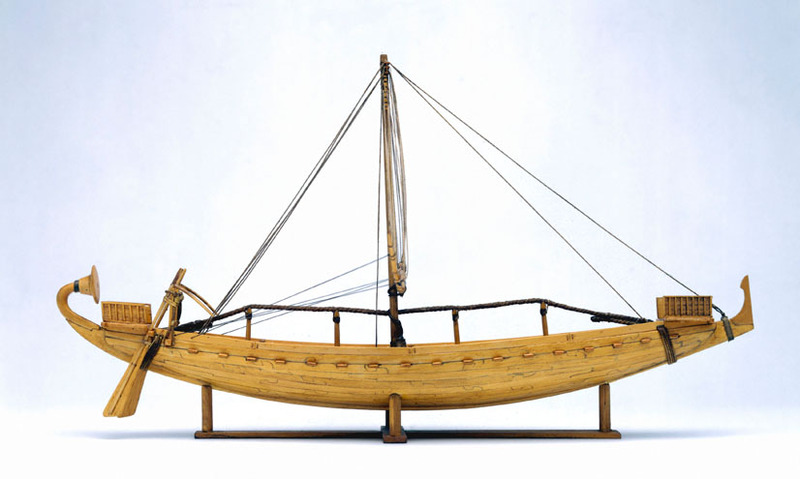 This artwork depicts a daring sea-journey to Punt, in present-day Somalia. But it also provides archaeologists with a mathematically accurate basis to recreate the Queen's journey. 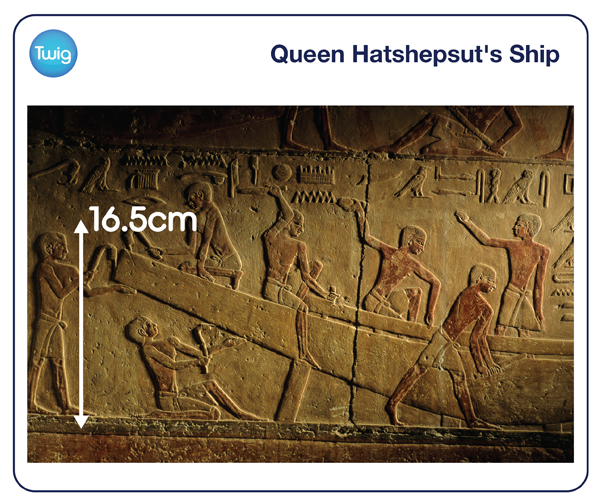 The carving in Queen Hatshepsut's tomb contains the only known image of the ship that sailed to Punt. In 2009, an international team of archaeologists began an audacious attempt to build a full-size replica of the ship, based on this image. The team knew that the average Ancient Egyptian had been 165cm tall. And the people on the ship in the carving measured 16.5cm. So the team realised that the artwork was drawn to scale. Knowing that the artwork was scaled down at a ratio of 10 to 1, the team knew that they must scale up all the measurements they had taken by a factor of 10. Following this principle, the team could simply measure each part of the painting, and so calculate the original dimensions. Once all the calculations were made, the hard work of building the ship began. The team used traditional construction methods to painstakingly recreate every millimetre of the ship. When construction was completed the boat began her maiden voyage. Success – the boat was seaworthy, and the team sailed to Punt, and back again. Their voyage proved as successful as Queen Hatshepsut's, whose ship returned from Punt laden with exotic animals, spices and gold. Archaeologists have since discovered these crates on Egypt's shores.